Born on a farm near Neuenberg on 10 January 1929, son of Bernhard and Helena Hildebrand, he attended the Winkler Collegiate Institute then enrolled in the Manitoba Normal School in 1950. 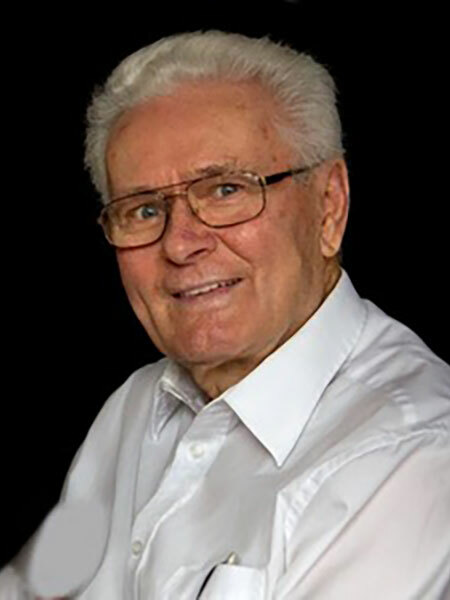 After teaching in rural schools for five years, he enrolled in the Mennonite Brethren Bible College, graduating with a Bachelor of Theology in 1958. From 1960 to 1976, he and his wife spent 15 years as church planters in South Brazil. They moved back to Winkler in 1976 where he spent the next nine years as Director of Missions for the Evangelical Mennonite Mission Conference. He pursued postgraduate studies, securing a Master of Arts degree from Wheaton College Graduate School and a Doctorate of Missiology from Trinity Evangelical Divinity School in 1995. From 1987 to 1997, he was a professor at the Steinbach Bible College. After retiring from teaching, he volunteered for two years with the Mennonite Central Committee. He then returned to Winkler where he was assistant pastor at the Winkler EMM Church for three years. He wrote three books: Training Servant Leaders, a history of the Steinbach Bible College; Winds of Change, a history of the Winkler EMM Church, and Explore the Word, a series of lessons on Biblical doctrine. The latter publication was translated into Low German and Brazilian Portuguese. In retirement, he served as head elder in his church for three years and he volunteered with the Winkler Heritage Society until his sudden death at Winkler on 12 July 2016. He was buried in the Winkler Cemetery. This page was prepared by Marjorie Hildebrand and Gordon Goldsborough.